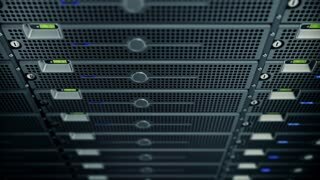 The Concept of: Digitalization of Information Stream Moving Through Rack Servers in Data Center. Interconnected Threads Connect User Data by Icons, Tags and Interests. Shot on RED EPIC-W 8K Helium Cinema Camera. Futuristic big data information technology concept. 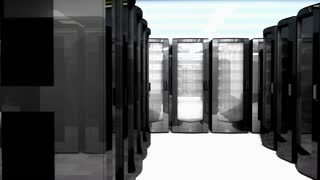 Motion graphic for abstract data center, block chain, server, internet, speed. Smooth transformation of lines. 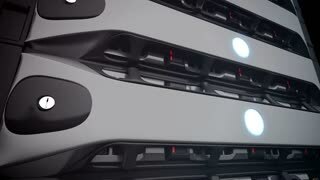 The Concept of Digitalization of Information Flow Moving Through Rack Servers in Data Center. Seamless loop. Digital cloud. 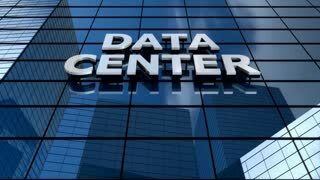 The Concept of Digitalization of Information Flow Moving Through Rack Servers in Data Center. Seamless loop. Server Racks In a Modern Data Center. Technology Related CG. Seamless Loop. 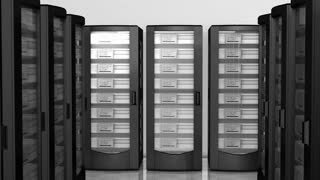 Server Racks In a Modern Data Center. Camera Slowly Moving. Seamless Loop.